Judi Curtin takes her young protagonists Beth and Molly back in time again in this new book, to 1975 to be precise. It’s a total culture shock – the two girls know nothing of Chopper bikes, the Bay City Rollers, Jackie magazine or the SodaStream, though it’s hardest for them to understand the strange misconceptions about women and their abilities, which everyone seems to accept as normal. For readers who aren’t familiar with this excellent series, Molly and Beth are best friends and latterly step-sisters: Beth’s dad is now married to Molly’s mum. Beth’s mum died when Beth was very small, and in the first book in the series, Time After Time, the two girls were able to meet her thanks to a chance – or was it? – discovery of a door that opens into the past. This is definitely time travel as a way to explore the unchanging nature of feelings, and as a way to put things right, and so it unfolds: Molly’s dad has recently returned from working overseas and has settled back in his home town near his daughter. She becomes increasingly aware of how lonely and isolated he is, especially when she compares his life to her own busy, happy routine with her new extended-family. The two girls return to Molly’s dad’s childhood to find out if the clues to his unhappiness can be found there. What they discover teaches Molly a great deal about her dad and yes, she’s able to improve his life as a result. The story is full of adventure and excitement – going back in time is not without its risks, and the normally quieter Molly has to be particularly resourceful and brave in this episode – but the emphasis is really on family, love and understanding and there can be few books that prove so clearly yet so delicately to readers that parents are still just people, who might occasionally need your help. 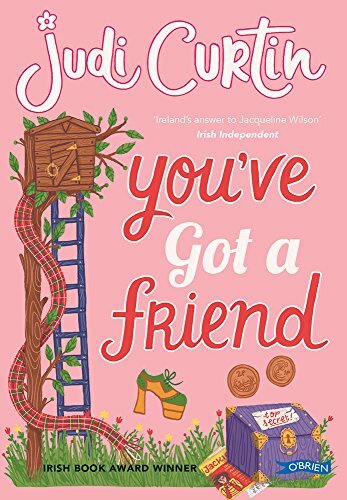 Judi Curtin’s writing is characterised by its warmth and compassion, as well as by her ability to absolutely nail the way young girls think and speak. Beth and Molly are exactly the kind of people readers would want for their friends, while this story will resonate with them in all sorts of ways.